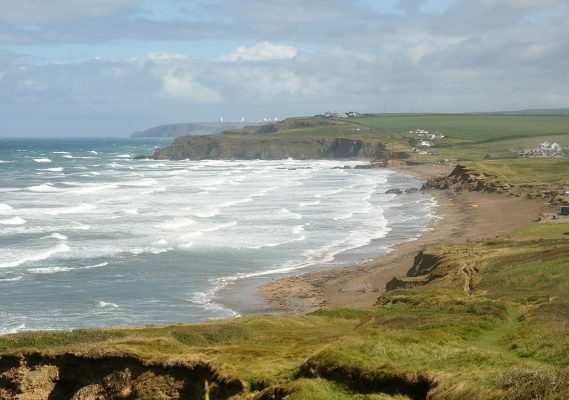 Bude’s beaches pass water quality tests with flying colours! The beaches in Bude, close to our centre for residential school trips, have passed recent tests on water quality with flying colours! Thanks to the efforts from the Bude Cleaner Seas Project and other community organisations, the water quality has been rated as ‘excellent’. Bude Cleaner Seas Project is made up of a number of environmentalists, beach cleaning groups, business owners and organisations such as the Environment Agency and Cornwall Wildlife Trust. All of these groups are passionate about improving the beaches of Bude, whilst also caring for the environment and encouraging others to do the same. Beaches including Widemouth Bay (our local! ), Crackington Haven, Sandymouth and Summerleaze all received an ‘excellent’ rating, with Crooklets receiving a ‘good’ rating. Back in the early 90s, just 28% of bathing waters across the nation met the top quality standards, but now a massive 93.2% are rated as ‘excellent’ and ‘good’, which just goes to show the fantastic efforts of everyone to keep our waters clean is working. “All the agencies have been working together to improve water quality on our fantastic beaches, which are so important to local residents, as well as the increasing numbers of tourists who visit from the rest of the country and around the world. We can proudly say that all of our bathing water beaches meet or exceed the exacting standards. This fantastic news means that visitors joining us in our water activities can do so knowing they will be in some of the cleanest water in the country!